I was browsing my YouTube subscriptions and I came across videos upon videos responding to a rant from one of my favorite Vloggers ..Taren916. My first thought was why is someone messing with my girl (even though we have never met)...So I went to her channel and saw the controversy starting video.. The video began with my full support of "my girl" but then she lost me..I have always seen YouTube as a great platform for people to showcase themselves and, if wanted, get opportunities to capitalize on their success BUT..its built on being a grass root forum. Her snubbing the small business owner and classifying herself as top tier was out of bounds for me. I understand that you need to give yourself value but YouTube is about the small business, the unknown and giving the normally unappreciated areas of society a voice. I watch YouTube vids to see people who look like me, care about what matters to me and not make me feel as if they are using me. 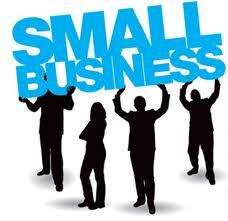 Small business is the core of America and you should never be "too big" to support others. Trust me I know some of the people I subscribe to may get paid or free products (I get products too) but I skip the ads at the bottom as soon as I can for a reason..I think Taren would have done better discussing her concerns with compensation in a forum for vloggers..there is a reason advertising meetings are done behind close doors..Although you know McDonalds adds music to their commercials to make you remember to get a snack pack for $1.99 they don't leak out the memos describing the planning details..Its like R&B Kem vs R.Kelly..they both want to get you in bed but at least Kem will romance you and give you something to lie to yourself about!